Groundbreaking milestones continued with the development of the cardiotachometer in the 1920s, an innovative instrument to measure the heart’s beat. 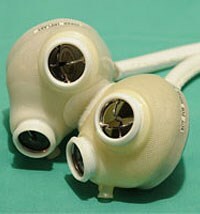 The device is now on display in the Smithsonian Museum. 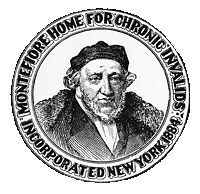 Montefiore would also build the foundations of its commitment to innovative health care when, in 1905, it established one of the nation’s first hospital-based departments of social work to meet the psychosocial and home-care needs of patients and their families. In 1912, Montefiore expanded its services and built a new hospital in the Bronx. Thus began a new era for Montefiore as it began partnering with the borough to create a world-class healthcare model accessible to anyone in need. Continuing to blaze trails, the first woman joined Montefiore's house staff in 1916. In addition to advances in medical care, Montefiore also made community care a priority. Our Bronx community represents one of the most economically-ch allenged urban counties in the nation. 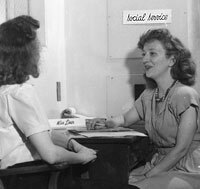 Inspired by those we serve, Montefiore created the nation’s first hospital-based Department of Social Medicine in 1950. 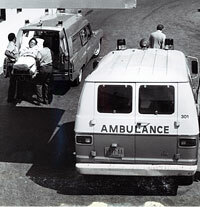 In 1970, the medical center established one of the first residencies in social medicine. At this time, the community-based Lead Poisoning Prevention Program was launched (the program remains a national model to this day) and, for the next two decades, Montefiore began providing care for prisoners at New York City’s Rikers Island Detention Center. The following year, Montefiore was one of the first hospitals to utilize Computerized Physician Order Entry (CPOE), a technology designed to help avoid medical errors. Toward the end of the decade, in 2008, Montefiore completed its acquisition of Our Lady of Mercy Medical Center and integrated the hospital as part of our Wakefield Campus. Expansion began in late 2013 when we entered Westchester County by opening Montefiore New Rochelle, Montefiore Mount Vernon, Schaffer Extended Care Center and Montefiore School of Nursing on the former site of Sound Shore Health System. It was a transformative moment, like the acquisition of Westchester Square Medical Center in the Bronx, which created a first of its kind full-service Emergency Department earlier in the same year. We continued to grow in 2014, by signing a comprehensive affiliation agreement with White Plains Hospital, which brought the hospital into our Health System where it now serves as the tertiary hub of Montefiore's Westchester network. Entered into a clinical affiliation agreement with the Yonkers New York-based Saint Joseph's Medical Center that also includes the St. Vincent's Hospital Westchester Division, one of NY State's most highly regarded inpatient and ambulatory behavioral health providers. Announced a strategic partnership with White Plains' Burke Rehabilitation Hospital. Welcomed the Hudson Valley-based St. Luke's Cornwall Hospital into our Health System in a partnership that will strengthen delivery of healthcare locally and enhance access to exceptional specialty care for the region's residents. 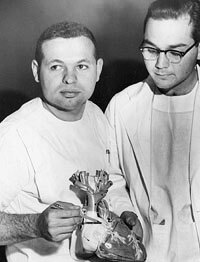 Assumed operational authority and responsibility for Albert Einstein College of Medicine in an agreement that came nearly half a century after our landmark affiliation was forged to strengthen excellence in science, education and clinical care. Today, we're proud of what our institution has and will become in the years ahead. Montefiore Health System (MHS) is one of the nation's largest, consisting of eleven hospitals; a primary and specialty care network of more than 180 locations across Westchester County, the lower Hudson Valley and the Bronx; an extended care facility; the Montefiore School of Nursing, and our Albert Einstein College of Medicine. As MHS, we are building upon a 125-year history, while at the same time remaining true to our mission and values and forging a new era of transformative medicine.